911 Restoration > Blog & Latest News > Disaster Safety > Which Roof is Best for your Home Based on Weather? Which Roof is Best for your Home Based on Weather? Last month we gave our thanks and shared our gratitude with each other over what we are fortunate to have – friends, family, health, and safety. And I’m sure among these blessings many people mentioned how grateful they were to have a roof over their head (I know I did). Now that it’s National Roof Over Your Head Day on December 3rd, I thought it would be a good time to talk about exactly what is going on over your head. The style you choose for your roof is more important than for simple appearances. Depending on where you live and the climate of that area, certain roofs can either help you or hinder you. As the seasons change, it’s good to know what roof styles work for your home. Here is a basic run-down of the pros and cons for each roof type for your climate. Asphalt Shingles – As one the most common and versatile roofing materials, asphalt shingles hold up extremely well in cold, wet climates and are used extensively throughout the northern regions of the US. Asphalt shingles are durable through heavy rain, snow, and wind, and they shed snow and ice very well. They are now, however, recommended to warmer climates. The heat and extensive sun exposure can reduce their longevity by 20-40% and the shingles may curl or soften under the sun. Metal – Metal roofs are great for both hot and cold climates. They are very durable in extreme winter weather and sheds snow very easily, making them a great choice for cold weather areas. Metal roofs also do a great job of reflecting sunlight and keeping your house cool in warm and hot temperatures. Although the metal itself is more expensive, it also requires less maintenance as it is less prone to mold, fungus, and rot. Wood Shingles – While wood shingles are the more traditional path and are highly customizable, they are a bit of a risk. In extremely hot and sunny climates the wood stands at risk of splitting or cracking under the heat, and are susceptible to rot and molding in more damp and rainy areas. 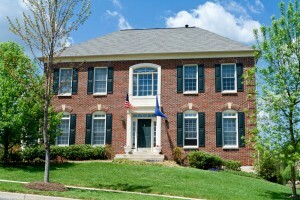 While they look great, wood shingles will require more maintenance and are therefore more expensive than other options. Slate – Like metal roofs, slate holds up well in any climate type. Slate is very good at keeping out heavy rain and cooling your house and is highly durable, making it a great option for homes in hurricane and extreme weather zones. Clay – Clay roofs are ideally suited for hot, dry climates. They are non-combustible – meaning they won’t catch on fire – and are good for keeping the heat down inside your house. However, clay tiles do break easily and are not recommended to stormy, windy areas. 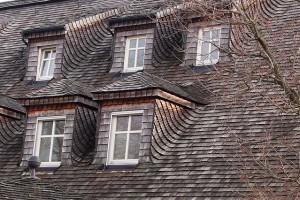 Gable or Pitched – These are the most popular styles of roofs in America. The slope of the roof makes snow shedding easy and allows for more attic space. However, the structure of gable or pitched roofs do not stand up well in high wind or hurricane areas and may collapse if not constructed properly. 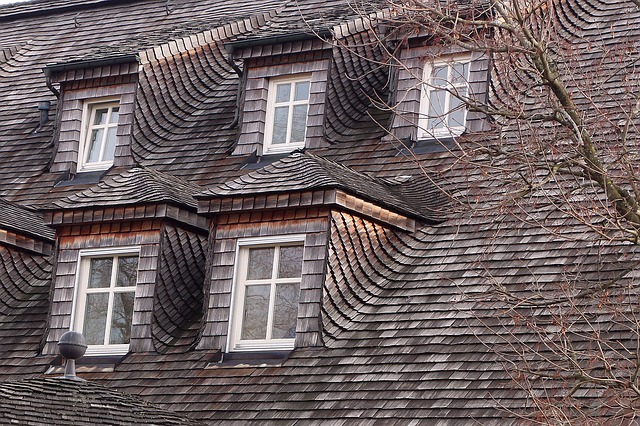 Hip– Like gable roofs, hips shed snow very easily and allows for more ventilation and attic space in your home. Fortunately, their more stable structure makes them ideally suited for high winds and storms. Unfortunately, they are more expensive than a typical gable, and the increased number of seams also increases the chances of water leaks. 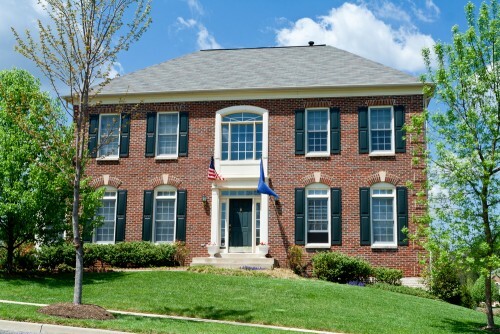 Mansard or French – This style of roof is great for adding additional space to your home. It has a flexible design that allows for several dormers and attics. However, the low pitched portions of these roofs are not ideal for areas with heavy snowfall. No matter what style or type of roof you decide to go for if you’re building a new home or replacing your current roof, be sure to consult with a roofing expert on what will work best for your area. Something that might be the inexpensive option at first may turn out to have higher maintenance costs than you expected. The roof is the most important part of your home, so make sure it’s working for you instead of against you.